20 Seconds to Live will easily be your next favorite horror/ comedy show. The 7-episode web series created by Bob De Rosa (Killers) and Ben Rock (Alien Raiders) is a scripted anthology series where characters meet their untimely demise in various twisted, fun, and oftentimes gory situations. A bit about the show Director Ben Rock (Alien Raiders) and screenwriter Bob DeRosa (Killers) have worked in film and television for over a decade but in order to keep the creative juices flowing, they also collaborate on darkly funny late-night shows at Sacred Fools Theater in Hollywood. Last year, they decided to take the “let’s put on a show” spirit of theater and combine it with their mutual love of horror anthologies. They approached producer Cat Pasciak (Atari: Game Over), who agreed to help them achieve their (dark) dreams, resulting in the seven-episode horror/comedy web series “20 Seconds To Live”. While brainstorming ways to release the show, they heard modern horror legend Adam Green (the “Hatchet” movies) was seeking a new web series to feature on his website Ariecope.com. It was a match in made in Heaven (or, considering the subject matter, Hell) as Ariescope Pictures exclusively presents the first season of “20 Seconds To Live”, the web series for people who hate happy endings. Besides the wonderful storytelling, the acting is aces. Prepare to be delighted by some amazing cameos that this group pulled together including Derek Mears (Friday the 13th, Sleepy Hollow) in Episode 2 Astaroth. (which you can watch below). This series is extra special for me because I know the filmmakers DeRosa and Rock. I’ve known them most of my adult life and that’s saying something. DeRosa is a uniquely talented screenwriter and playwright and Rock has a remarkably keen eye when it comes to directing. Especially horror. I mean, Rock can make blood splatter like no one else! This partnership is a smart one and it’s creatively brilliant so buckle up and get ready for seven short bursts of laughter and screams. And feels. They managed to put the feels in 20 Seconds to Live as well. 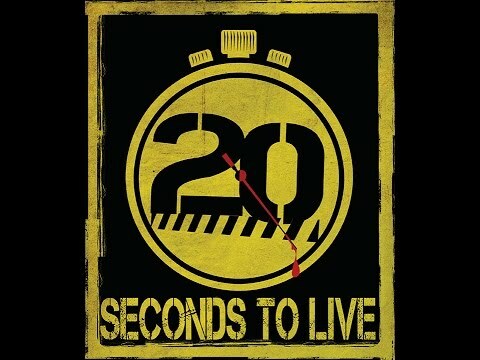 20 SECONDS TO LIVE: “Anniversary” from ArieScope Pictures on Vimeo. 20 SECONDS TO LIVE: “Astaroth” from ArieScope Pictures on Vimeo. Follow 2o Seconds to Live on twitter, here! Follow Bob DeRosa on twitter here and Ben Rock on twitter, here!